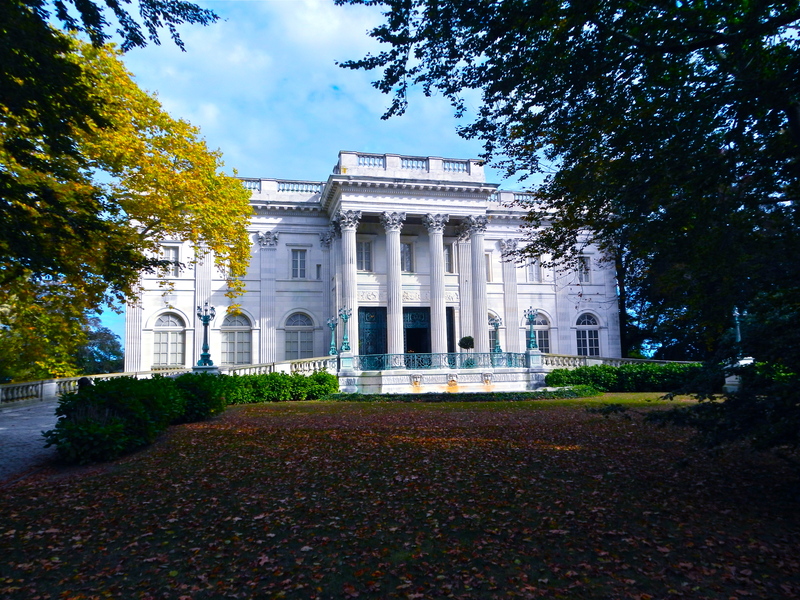 Marble House, a classical work of art located on famed Bellevue Avenue in Newport, Rhode Island, was the summer home of William and Alva Vanderbilt. Alva Erskine Smith, a native of Mobile, Alabama, met William K. Vanderbilt in West Virginia. The two were married in 1875, 13 years before Marble House was conceived. one of many ocean views from Marble House. In 1888, Richard Morris Hunt was commissioned to design the white palace with four Corinthian pillars near the Astor’s Beechwood Mansion. Once the project began, fences went up to keep the construction private from outside spectators. Four years passed from when Hunt initially joined Alva on her quest for an ocean side estate, to the opening of the heavy, iron front doors for the first time in 1892. The home was built of white Westchester Marble and enjoys two main floors, a third level with servant rooms, and a subterranean level with service rooms including the kitchen. Inspiration behind Alva’s Newport home was drawn from the Petit Trianon at the Palace of Versailles. The grand, 10-ton entry doors welcomed guests in to a massive foyer more opulent than any other home at the time. The walls and floors of the first and second levels of the entrance, including the long hall in the back of the main floor, are fully decorated with yellow Siena Marble. The magnificent staircase, also constructed of Siena Marble, is outlined with wrought iron railings with gilt bronze detailing. A beautiful mural graces the ceiling above the large chandelier in the center of the hall. Two small rooms are located on either side of the mezzanine level between the first and second floors. As one walks up the steps, the first room seen is Mr. Vanderbilt’s study. The second, located on the west side of the mezzanine, was Mrs. Vanderbilt’s private sitting room. Alva used this space for everyday use, while much of the first floor was saved for large-scale events. The rich, pink Numidian Marble dining room is located to the left of the staircase on Marble House’s first floor. The tall, shiny-walled space is dripping in gilt bronze ornamentation on the moldings, fireplace, and ceiling. Three large, arched windows adorn the exterior wall while two glass doors with arched mirrors mimic the first and third exterior windows. An arched inlay in the marble mirrors the central window. The ocean facade of Marble House. Most of the home’s furnishings were created by Jules Allard & Sons. His work can still be seen in many of the homes that shine in Newport today. Paris firm, Henry Dasson, was also behind many of the furnishings inside the walls of Marble House. Almost every piece in this massive estate was themed after the Louis XIV and XV styles. Initially, the Vanderbilts were not welcomed into the high society circle of Newport and New York City that was meticulously governed by their neighbor, Mrs. Astor. This never got in the way of Alva, who went on to become one of the lead hostesses of Newport and the Upper East Side of Manhattan. 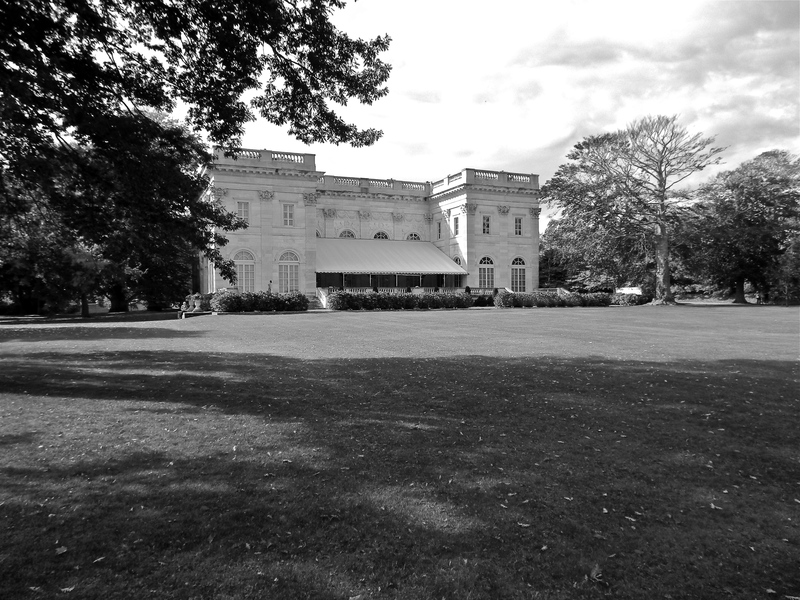 Alva was deeply aided by the grand ballroom located to the right of the entrance of Marble House. The room is dressed with carved gilt wall panels, detailed curtains, and a Pietro da Cortona styled painting on the ceiling. Though the ballroom was exquisite, it cannot be fully credited for gaining Alva acceptance into the highly coveted, high society 400. It was her cleverness. 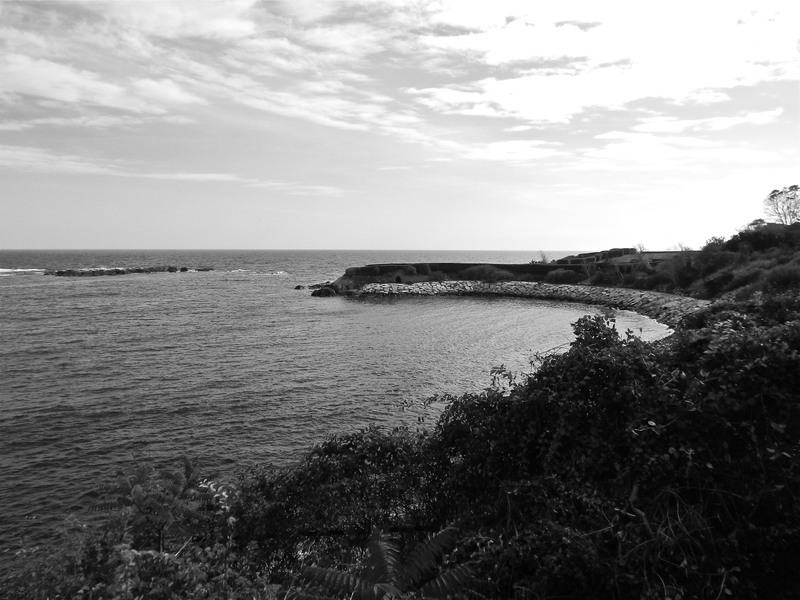 The back part of the property leading to the Atlantic. It is believed that Alva strategically left one of Mrs. Astor’s daughters off the invitation list of her house-warming ball in New York. Anyone who was anyone was attending Mrs. Vanderbilt’s party, so for Mrs. Astor’s daughter to not make the cut was an embarrassment. Mrs. Astor reached out to Alva, gaining her daughter acceptance to the ball. In return, the Vanderbilts were invited to the Astor’s annual ball, gaining them acceptance into the top tier of New York society. Though Alva gained the Vanderbilts acceptance, she no longer accepted the Vanderbilt’s name. Upon the completion of Marble House in 1895, the title of the home was turned over to Alva as a gift. Soon after, William and Alva dissolved their marriage, leaving Alva the sole owner of the Newport estate. In 1903, William remarried and moved to Paris. 17 years later, Mr. Vanderbilt passed away in France. The same year Mr. and Mrs. Vanderbilt divorced, Consuelo, Alva’s daughter, was introduced to the 9th Duke of Marlborough. Like many in this social class, Consuelo was forced into marriage as a way of maintaining reputation and financial status instead of nurturing true love. The marriage only lasted until 1921. In 1896, Alva formally dismissed the Vanderbilt title when she married Oliver Hazard Perry Belmont, the former friend of William K. Vanderbilt. She moved into Belcourt, a massive estate down the street. The underused Marble House served as a giant closet, only maintained by servants for over a decade. In 1908, Mr. Belmont passed away and Alva reopened Marble house for the first time. Alva Belmont was not a typical lady of the Gilded Age. She was vocal on issues that needed attention. 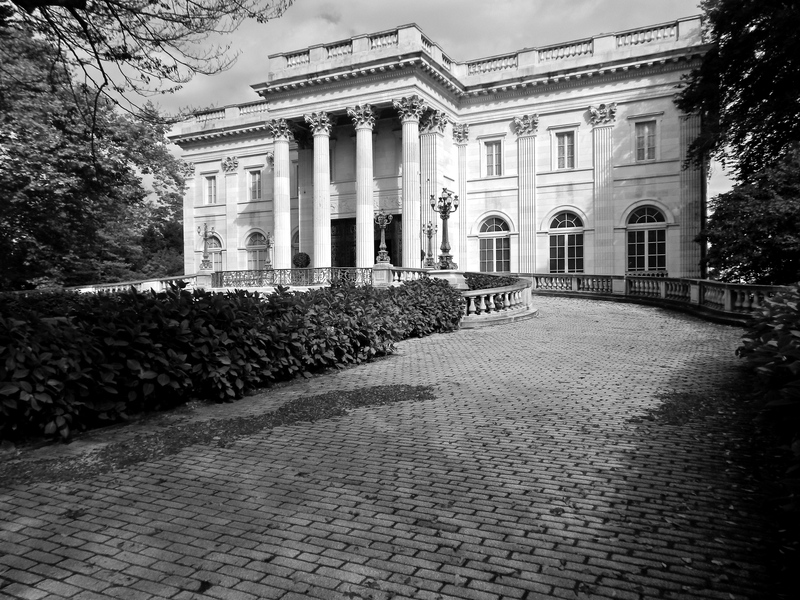 In 1909, Marble House was no longer used as just a private residence. The doors were opened, and the crowds were welcomed inside to raise money to gain people like Alva a voice. Those people were women. Funds raised went directly to gain women the right to vote. 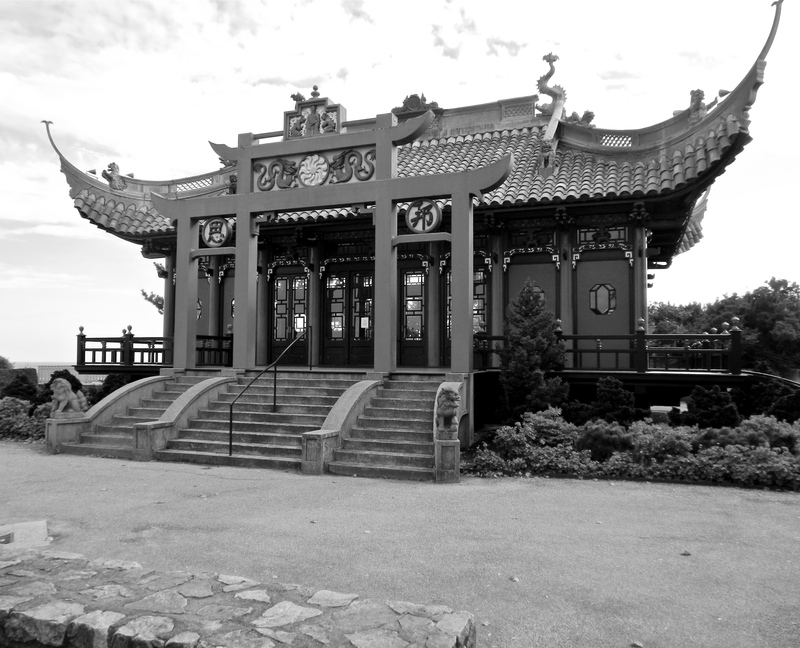 The Tea House was built in 1913. The United States ceased to serve as Alva’s home towards the end of her life. Desiring to be closer to her daughter, Consuelo, the former Mrs. Vanderbilt relocated to Paris. She maintained a townhouse in the city and added the restoration of an old chateau near Fontainebleau to her resume. Just shy of her death in 1933, Alva sold Marble House to Frederick H. Prince. In 1963, the Prince family trust sold the estate to the Preservation Society of Newport County. Along with the house, the original furnishings were donated to preserve the aesthetics of the Gilded Age beauty. Harold S. Vanderbilt, Alva’s son, donated the money to buy the home. Gannon, Thomas, and Paul Miller. Newport Mansions. 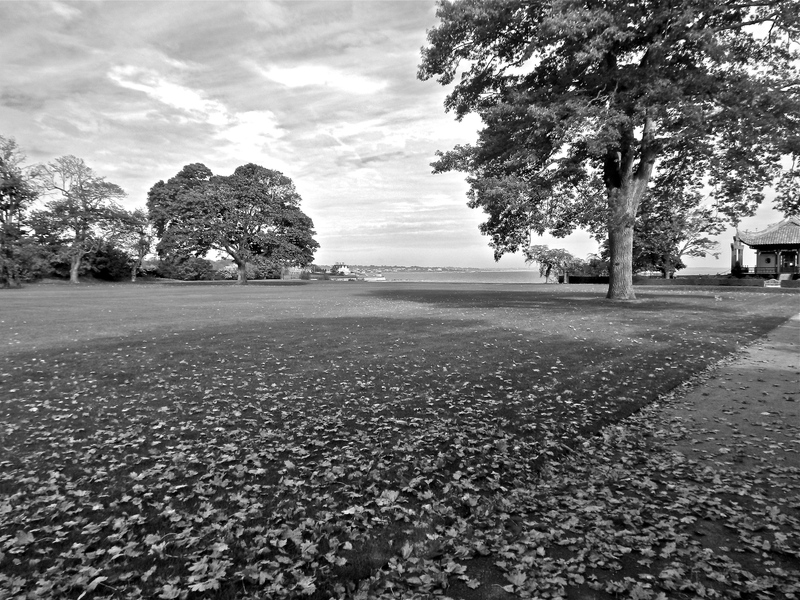 Newport, RI: Preservation Society of Newport County, 2010. Print. 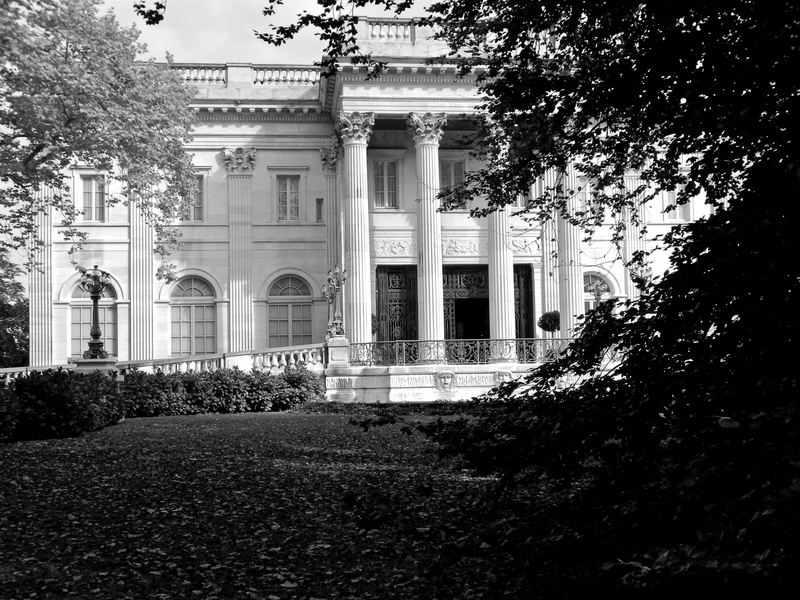 “Marble House.” http://www.newportmansions.org/explore/Marble-House. N.p., 2015. Web. 11 Jan. 2015.